What hope there might be for democracy in America is ill-served by a United States Senate that is, by design and in practice, strikingly unrepresentative. Voters got a reminder of that in November. They cast 52,539,754 ballots for Democratic Senate candidates versus just 34,787,898 for Republican contenders, yet Mitch McConnell’s GOP caucus actually expanded its majority. The Senate is so antidemocratic that candidates who are rejected by the voters can still end up taking seats in the chamber. Case in point: Martha McSally. McSally was the Republican nominee for an Arizona US Senate seat this year, and she got beat. The voters chose Democrat Kyrsten Sinema by 55,900 votes. Yet, come January, McSally and Sinema will both be senators. That’s because, on Tuesday, Arizona’s Republican governor, Doug Ducey, appointed McSally to fill the state’s other Senate seat. She’ll replace another unelected Republican senator, Jon Kyl, whom Ducey appointed to serve a portion of the Senate term to which the late John McCain was actually elected in 2016. 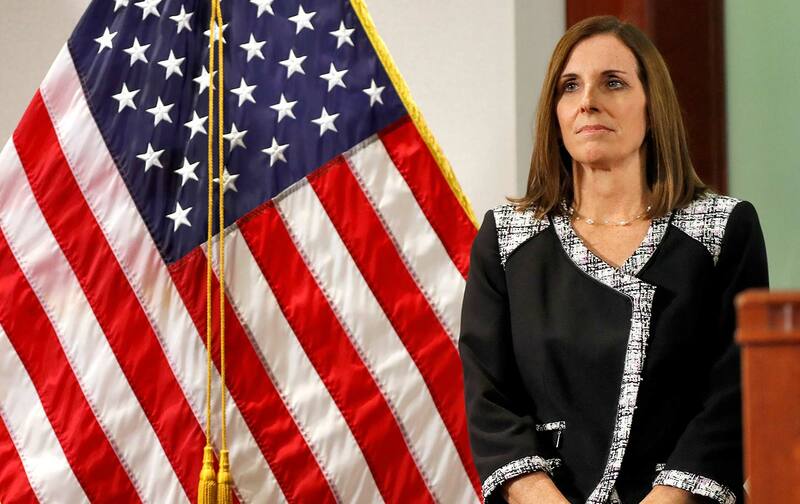 McSally will serve in the Senate until a special election is held in November 2020, when the voters will finally have a chance to weigh in on who they want to represent them. If the calculus embraced by Arizona Republicans—making the losing candidate for one US Senate seat the “winner” of the state’s other seat; and replacing one unelected senator with another unelected senator—sounds absurd, that’s because it is absurd. But this is not just an Arizona problem. And this is not just a Republican affront to democracy. Governors of both parties regularly appoint senators to fill vacancies, making an unrepresentative Senate even more unrepresentative. This is not how the other side of the US Capitol operates. No one can serve in the US House of Representatives before first being elected by the people. There are no gubernatorial appointments of political cronies and defeated candidates. If a vacancy occurs, a special election must be held to fill the seat. Appointed senators serve for months, even for years. They introduce legislation, sit on committees, and cast votes with the same authority as elected senators. Appointed senators play critical roles in deciding whether to approve or reject cabinet nominees and Supreme Court selections. They vote on tax policies and budget measures. They decide whether to crack the “debt ceiling”—and whether to send young men and women off to war. Yet appointed senators exercise their authority without the democratic legitimacy that is conveyed to the winners of elections. The House standard is the right one. No member of Congress should serve without having been elected by the people of the district they represent. The point here is not to disparage McSally—although the fact that a defeated Senate candidate is headed to the Senate has already inspired a good measure of mockery. The point is to raise a concern about the fact that laws will be proposed, bills will be sustained, and roll-call votes will be tipped in one direction or another by a senator who was not the choice of the people. How is this possible? Because of an abusive reading of the vague 1913 amendment to the US Constitution that replaced the old system of appointing senators with one that said they were all supposed to be directly elected. The 17th Amendment sought to end the corrupt, and corrupting, process of appointing senators. But a loophole was included to give governors the authority to make temporary appointments in the transition period. Over the ensuing 105 years, dozens of men and women have served as senators without their having been elected. These “temporary” senators often serve for the better part of two years, as will McSally. To the end of the 116th Congress, a senator chosen by one man—the governor of Arizona—will have the same authority as a senator elected by more than 6 million voters (California Democrat Dianne Feinstein). A decade ago, then–US Senator Russ Feingold (D-WI) tried to amend the Constitution to address the problem, when he chaired the Senate Judiciary Committee’s subcommittee on the Constitution. Feingold proposed a constitutional amendment that would have required special elections to fill all Senate vacancies, and which got a little bit of traction when he was still serving in the Senate. In 2009, the Senate Judiciary Subcommittee on the Constitution approved Feingold’s amendment to end the selection of senators by governors. Feingold brought progressive history, democratic idealism, and common sense to the fight for reform of the Senate.